Homelessness is a complex social problem that societies often treat, but rarely fix. Existing social services do little to remedy the underlying causes, and governments too often lack the resources and long-term commitment to invest in preventive approaches that could improve lives and reduce society’s burden in a lasting way. And there are many similar problems, from chronic unemployment to juvenile delinquency, that impose ongoing costs on governments and taxpayers. But a new funding mechanism—social impact bonds (SIBs)—may offer an innovative means of harnessing private capital to achieve measurable gains on some of the most persistent social ills. Weiner professor of public policy Jeffrey Liebman is spearheading an effort at Harvard Kennedy School to accelerate their adoption. SIBs—also known as “social innovation financing” or “pay for success”—offer governments a risk-free way of pursuing creative social programs that may take years to yield results. 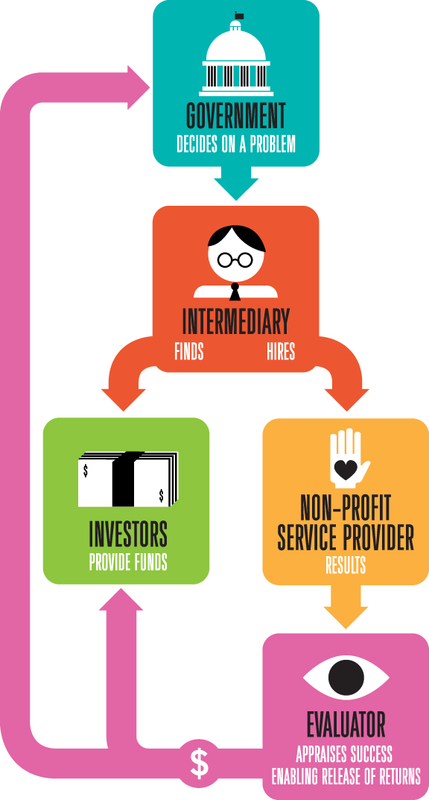 Usually, governments decide what problems they want to address and then enter a contractual agreement with an intermediary (or bond-issuing organization) that is responsible for raising capital from independent investors including banks, foundations, and individuals, and for hiring and managing nonprofit service providers. If the project achieves its stated objectives, the government repays the investors with returns based on the savings the government accrues as a result of the program’s success. (Taxpayers also receive a portion of the budget gains in the form of freed-up public resources, though the investors may need to be fully paid first.) A neutral evaluator, agreed on by both parties, is hired to measure the outcomes and resolve any disputes that arise. He therefore established the Harvard Social Impact Bond Technical Assistance Lab (SIB Lab). Funded by the Rockefeller Foundation, the lab serves as a hands-on think-tank for helping governments foster innovation and improve the results of their social-service spending. The Rockefeller grant supports current students and recent graduates of the school’s master’s in public policy program who provide pro bono assistance in government offices on all aspects of a SIB start-up phase.